Was your settlement check lower than what you expected? Did the insurance adjuster hired by your insurance company evaluate your loss properly and fairly? We will re-open your covered loss even if you cashed the check and have started or completed the repairs. Insurance losses are very time consuming and frustrating to settle. You must properly document the damages and understand the policy language in order to get paid fairly. You must also know what is covered vs. what is not covered. Insurance negotiations are settled on an agreed price of the damages and an agreed scope of the loss. Have you been paid fairly? 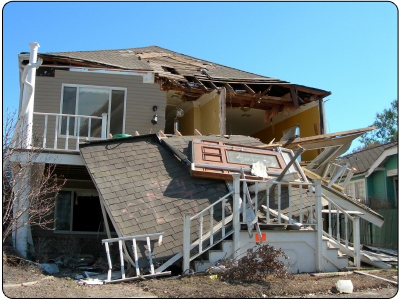 Do you feel that there is damage to your property that was not addressed properly by your adjuster? At Claimserve we have the experience and expertise to make those evaluations and recover money for your losses through appraisal that were not paid properly. We will evaluate your insurance company’s damage report and give you a fair assessment of the actual damages sustained and their true value. This evaluation is 100% FREE of charge to you. We will evaluate your loss and give you our professional opinion as to your options. Copyright © ClaimServe - All Rights Reserved.